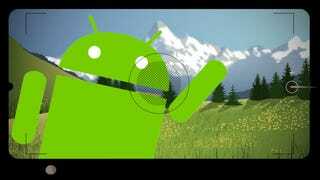 The latest incremental update for Android’s Camera app, version 2.5 is out, and according to Android Police, the most exciting stuff — a burst-fire mode that automatically finds the best image — is hidden under the hood. According to a (non-conclusive) teardown of the app’s code, the 2.5 update is paving the way for a feature called ‘Smart Burst’. It looks like it will allow you to take burst-fire photos of a scene — but that’s not the magic part, since that comes baked in with every decent smartphone these. The phone will then analyze the photos, based on a list of criteria like the number of faces, eyes open and sharpness. The user will then get a shortlist of the best frames, presumably to save or spam all over Facebook.